YouTube/Texas Defender CaseThis photo shows Scott Panetti. In 1992, Scott Panetti shaved his head. Then, he murdered the parents of his estranged wife and held his wife and daughter hostage for a night before surrendering to police. On Dec. 3, Texas plans to execute the 56-year-old for his crimes. Despite knowing he was severely mentally ill, the court allowed Panetti to represent himself — in a cowboy costume. In a clemency petition filed Wednesday, Nov. 12, dozens of prominent individuals and organisations urged the Texas Board of Pardons and Paroles and Gov. Rick Perry to stop the execution. Panetti reportedly had his first delusion well before his crime. In 1986, he embarked upon “spiritual warfare with Satan,” his sister Victoria wrote in her own petition. He tried to exorcise the devil from his home by burying furniture in the backyard. That same year, the Social Security administration determined his severe schizophrenia entitled him to benefits, according to clemency petition. During his 1995 trial, Panetti acted as his own lawyer. 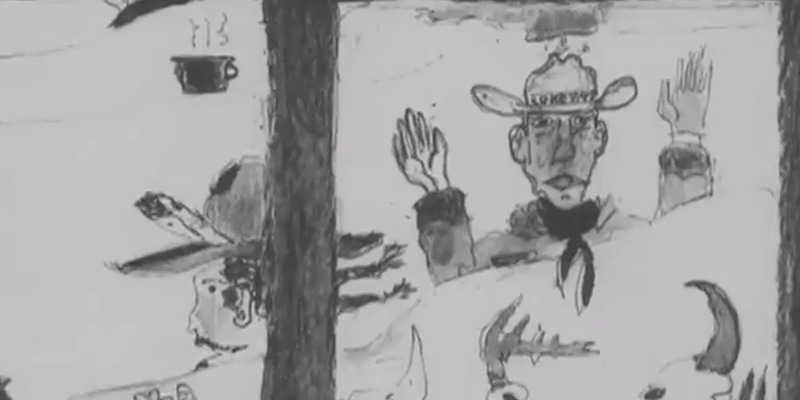 Dressed as a cowboy, he reportedly attempted to call over 200 witnesses, including John F. Kennedy, the Pope, and Jesus Christ. 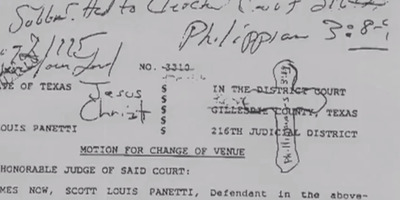 Panetti also scribbled and drew crosses on many of his court documents, according to a video published by the Texas Defender System along with the petition. For that reason, the judge ruled some of Panetti’s medical records unfit for evidence, according to his father Jack. “He was up there by himself,” Jack said in the video. Nonetheless, the Texas court system sentenced him to death. 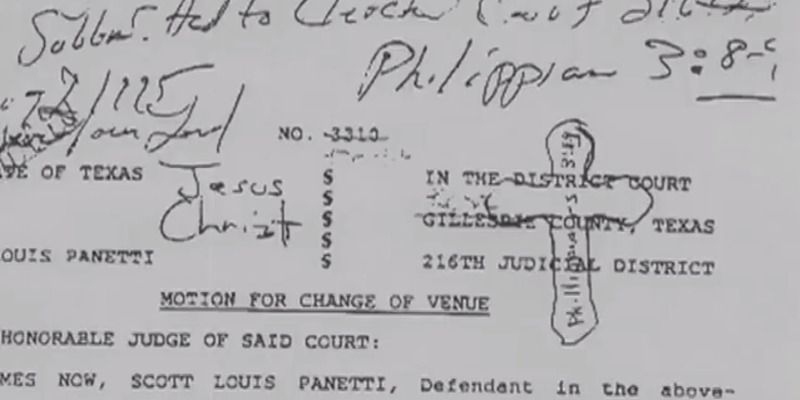 YouTube/Texas Defender ServiceScott Panetti’s legal documents. In 1986, the Supreme Court ruled in Ford v. Wainright that executing an insane prisoner violates the Eighth Amendment. But the high court never specified a definition of mental illness for these purposes, as The New York Times reported. Texas has interpreted the 1986 decision to mean that a person is sane enough to be executed if they know why they’re being put to death, according to executive director of the Death Penalty Information Center Richard Dieter. “That’s the issue,” he told Business Insider, “How narrow can Texas be when determining his mental competence?” At one point, according to Dieter, Panetti made on-record comments implying he understood the nature of his punishment. Evidence suggests, however, that Panetti’s mental state may have changed since he made those statements. “The devil has been trying to rub me out to keep me from preaching,” he told The New York Times in 2006 when asked about his impending execution. He also mentioned being stabbed in his death row cell by the devil. In 2007, the Supreme Court overturned Panetti’s death sentence after finding the court hadn’t adequately examined whether he was sane enough to be executed. “A prisoner’s awareness of the State’s rationale for an execution is not the same as a rational understanding of it,” the court ruled. Although the Fifth Circuit court reaffirmed his execution in 2013, Panetti hasn’t undergone an evaluation for mental competency in nearly seven years, according to the Texas Defender Service. 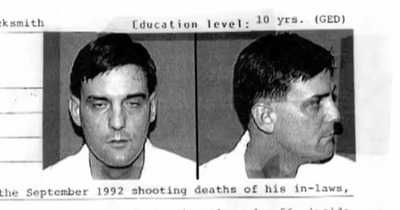 In 2014, the trial court in Kerrvile, Texas refused to withdraw or modify his execution date to allow for a competency test. Keith Silverman, a forensic psychiatrist, currently classifies Panetti as a paranoid schizophrenic with severe delusions. “It’s rare that I’ve seen someone that sick,” he said in the video. Panetti’s medical records show the same, according to the petition. “Evidence of [Panetti’s] incompetency runs like a fissure through every proceeding in his case — from arraignment to execution …. [His execution] would cross a moral line,” the petition, filed by Panetti’s attorneys, reads. In 2004, the European Union also sent a letter of clemency to Governor Rick Perry on Panetti’s behalf. Panetti’s case continues a wave of controversy over states executing the mentally ill. In August 2013, Florida executed John Ferguson, a 65-year-old schizophrenic man who called himself the “Prince of God.” The Supreme Court declined to hear a final argument from his lawyers. Advocates also said Andrew Reid Lackey, an Alabama man executed in July 2013, suffered from mental illness.